The look needed to be high-end, represent quality and drive home a trustworthy brand identity. In order to engage the market, Contrast needed to capture a good balance between science and beauty and create an aspirational brand identity roll-out. Main communication message: real beauty needs to come from the inside (product needs to be taken orally – effects from the inside). Establish Zehra as a trustworthy product that woman would be willing and eager to purchase. Drive home the fact that Zehra will not only help women complete their beauty regime and age beautifully, but also attain better general health. Contrast set out to develop a look that represented purity, class and health with a definite scientific backing. As the name suggests (Zehra meaning radiant and brilliance, blossom, bright as the dawn) the look had to represent an aspiring inner beauty. Contrast needed to select the model and photograph her for the various new applications. The model was of upmost importance and the main focus of the packaging and roll-out. She needed to radiate a healthiness that the consumer could aspire to. Beautiful, but not perfect. Someone desirable and relatable. Contrast generated the copy for this roll-out as well as the pay-off line: ‘The finishing touch is within”. This underlined both the internal beauty element as well as the fact that Zehra is ingested and this is how it delivers its promise. This was then applied to the various elements requested. 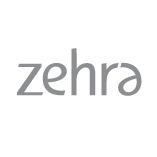 Client is very happy with the brand look and subsequent sales are going from strength to strength with Zehra being sold at more and more spas and online retailers.